When the Buddha taught that all beings have buddhanature, says Dzongsar Khyentse Rinpoche, he wasn’t contradicting the teachings on emptiness—he was clarifying them. As soon as we talk about a path like Buddhism, we think about its finish line—some kind of result or goal. But in the Mahayana, there is no goal. In the Prajnaparamita Sutra, for instance, we hear that “Form is emptiness, emptiness is form. No eyes, no ears…” and all that. There’s nothing to obtain. And there’s “no nothing” to obtain. The Mahayana path is like peeling layers of skin and finally finding out that there’s no seed inside. We have to obtain liberation from the skins, but this is difficult to do—we love our skins. When we’re children, a sand castle is very important to us. Then when we’re sixteen, a skateboard is very important, and by then the sand castle has become a rotten skin. When we’re in our thirties and forties, money, cars, and relationships replace the skateboard. These are all layers of skin. More important, even the paths that we practice are all layers of skin, which we use to help us peel the other skins. The inner skin helps us think about the outer skin and motivates us to peel it. But ultimately in the Mahayana path, you have to be free from all systems, all skins. You cannot wish or pray for the result of elimination, because it’s already there; it continues all the time. So what happens when all these skins have been peeled off? What’s left? Is enlightenment a total negation, like the exhaustion of a fire or the evaporation of moisture? Is it something like that? No, we’re talking about something that is a result of elimination. For example, if your window is dirty, you clean it, you wash the dirt; then the window, in the absence of dirt, is labeled a “clean” window. There’s nothing else. The phenomenon that we are calling a clean window, the quality that is the absence of dirt, is not something we produced by cleaning the dirt. I don’t think we should even call it a clean window, because the window in its original state has never been stained by the extremes of either dirty or clean. Nevertheless, the process of getting rid of the dirt can be labeled as the emergence of the clean window. Here we’re talking about buddhanature, and if you want to know about buddhanature, then Maitreya’s Uttaratantra Shastra is the text you have to study. It’s important to be careful when establishing the idea of buddhanature, because otherwise it might end up becoming something like an atman, or a truly existing soul. The Mahayana shastras talk about the qualities of freedom, or elimination, such as the ten powers, the four fearlessnesses, the thirty-two major marks, the eighty minor marks, and so on. If you’re not careful, you might start to think about buddhanature theistically—that is, in terms of the qualities of a permanent god, soul, or essence. But all these qualities talked about in the Mahayana shastras are simply qualities of the absence of dirt. When we talk about the result of elimination, we automatically think we are talking about something that comes afterward: first there is elimination and then comes its effect. But we are not talking about that at all, because then we would be falling into an eternalist or theistic extreme. “Elimination” means having something to eliminate. But in the Prajnaparamita, we understand that there is nothing to eliminate. And that is the big elimination. The result of that elimination isn’t obtained later. It’s always there, which is why it’s called tantra, or “continuum.” This quality continues throughout the ground, path, and result. The window continues from before the dirt was there, while the dirt is being washed away, and after the cleaning is complete. The window has always been free from the concepts of dirt and freedom from dirt. That’s why the Mahayana sutras say the result is beyond aspiration. You cannot wish or pray for the result of elimination, because it’s already there; it continues all the time, so there’s no need to aspire to it. The essence of all of the Buddha’s teachings is emptiness, or interdependent arising. Nothing arises, dwells, or ceases independently. Therefore, there’s nothing permanent. There is no truly existing self. Everything that we think exists, or does not exist, or both or neither—all these things are fabrications of our mind. We fabricate them and then we become attached to our fabrications. But we don’t realize they are our own fabrications. We think they are real, but basically, every single conception or clinging that we have is some kind of fanatical process. The Mahayana sutras teach emptiness, or shunyata, to lead us beyond all these extremes and fabrications. When we talk about emptiness, something beyond fabrication, we immediately think of a state of being that has no function, like a couch potato or piece of stone, but that is absolutely not correct. It is not merely a negation, elimination, or denial. 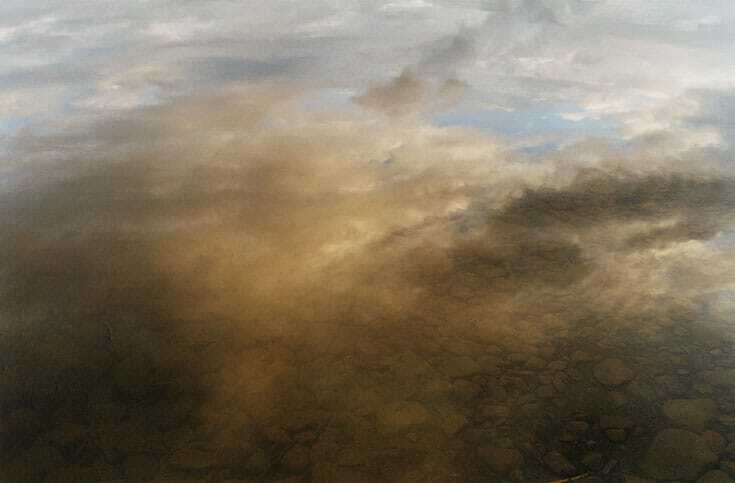 It is not like the exhaustion of a fire or the evaporation of water. It is full of function, and we call this function buddha activity, which is one aspect of buddhanature. This buddhanature has an aspect of uninterrupted wisdom. This is the difficulty, because as soon as we talk about wisdom, we think in terms of cognition and the senses and their sense objects. We are curious about how a buddha perceives things. But although buddhanature is seemingly a cognizer, it has no object, and therefore it cannot be a subject. Furthermore, it’s not inanimate, nor is it animate, in the sense of mind. This is why the Uttaratantra Shastra is really complementary to the Mahasandhi (Dzogchen) teachings, which always say that mind and wisdom are separate—the dualistic mind of subject and object is separate from the nondual wisdom, which is not other than buddhanature. You could say that when Nagarjuna explains the Prajnaparamita, he concentrates more on its empty aspect, whereas when Maitreya explains the same thing he concentrates more on the “-ness” aspect. This “-ness” is buddhanature. You might wonder why the Buddha taught in the sutras that all phenomena are like clouds—unstable, naturally illusory, and empty. Why is it that even though we can experience them, they are without essence, like a dream or mirage? When Buddha says there is buddhanature, he isn’t saying that buddhanature truly exists. Rather, he is emphasizing the clarity aspect. First of all, there is no contradiction between the second turning of the wheel of the dharma, where the Buddha taught that everything is emptiness, and the third turning of the wheel, where the Buddha taught that all sentient beings have buddhanature. In the Prajnaparamita Sutras of the second turning, the Buddha emphasizes that nothing is truly existent. So here, when Buddha says there is buddhanature, he isn’t saying that buddhanature truly exists. Rather, he is emphasizing its clarity aspect. When we talk about the union of clarity and emptiness, it’s important that we understand both aspects, not only the emptiness aspect. Generally, throughout the buddhadharma, and especially in the Mahayana, the most important thing is to generate enlightened mind. If you read the Bhadrakalpa Sutra (the Sutra of the Fortunate Aeon), you will hear how in the beginning one thousand buddhas generated enlightened mind. Generating enlightened mind is a promise or pledge to enlighten oneself and all sentient beings, and for practitioners on the path it is the most important thing. For example, when you pray, why does prayer work? It works because of this determination, this pledge to help sentient beings. It’s all based on that. Hence, there are five reasons to teach buddhanature, each one addressing one of the five mistakes, and these reasons are all about helping us make good on this pledge. First, if buddhanature were not emphasized, then a bodhisattva on the path might become discouraged, because the path is long, rough, and endless. One might also despise oneself, thinking, how can someone impure and useless like me achieve enlightenment? Bodhichitta, the wish to enlighten all sentient beings, will not arise within people who have that kind of discouragement and who despise themselves. When we know that buddhanature is there within us, like a gold coin buried in the dirt, it gives us a lot of encouragement. We know enlightenment is possible because buddhanature is there within us. This brings joy to the path. If we didn’t know there was a gold statue inside the mold, there would be no joy in breaking the mold. But when we know, the desire to find the statue inside is so strong that we don’t even notice the process of breaking the mold, which is generating enlightened mind. Second, as bodhisattvas we have to benefit all sentient beings. If we don’t know that buddhanature resides within everybody, then we might not respect other sentient beings. Rather, we might think we’re great because we’re bodhisattvas, and then despise other sentient beings. This could become a big obstacle, hindering us in benefiting other beings. Imagine that you think you’re a bodhisattva who has buddhanature and that other sentient beings don’t have buddhanature and therefore require your help. You think you have to somehow insert the buddha inside them. That’s a very big mistake. It’s what we call exaggeration or imputation. The Buddhist view is that everybody has buddhanature. It will not change. No one, no guru, no Buddha can insert it. All anyone can do is become some kind of path to enable people to realize it themselves. The third reason buddhanature is taught is to dispel the obstacles that obstruct us from having prajna. There are two such obstacles. The first one is imputation. Even though there is no buddhanature, we impute or imagine its existence by thinking that all these buddha qualities exist, such as the ushnisha, the protuberance on top of the Buddha’s head, symbolizing his great wisdom and enlightenment. But they don’t. We also need to overcome the second obstacle to wisdom: thinking that the buddha qualities do not exist, or that there are no buddha qualities within us, which is like some kind of criticism. This is the fourth reason buddhanature is taught. Finally, the fifth reason is to dispel the obstacle that prevents us from understanding that we are equal to others. If we don’t know that buddhanature exists equally within all beings, then we might have more attachment to ourselves and more aversion toward others. Those are the five reasons why buddhanature is taught. Emotions are temporary, so action is like a dream, and therefore the aggregates — the result of emotions and action — are like a mirage. Buddhanature is pure and free from all kinds of compounded phenomena, right from the beginning. Therefore, buddhanature is free from the three kinds of emotions: desire, aggression, and jealousy. It is free from the emotions of karmic formation, such as virtuous actions and non-virtuous actions. And it is free from the result of emotion, the five aggregates. Therefore, the emotions are like clouds. The nature of beings is primordially pure; that’s why we call it buddhanature. Although emotions are seemingly apparent and seemingly stubborn, seemingly like a second nature, they are never a second nature. They are like clouds—they are adventitious, and not a true part of you. This point is quite important. In Buddhism we always come to the conclusion that these emotions and defilements are temporary. When we’re looking at a gray cloudy sky, we might call it a cloudy sky, but it’s not really a cloudy sky. The clouds are never the sky. The clouds are temporary or adventitious. The next part is critical for our understanding of karma. Since emotions are temporary, so-called karma or action is like a dream. This is important because many people think that karma is almost like a substitute for God. They think it’s like someone who punishes you, rewards you, and decides your fate. But it’s never like that in Buddhism. Karma is actually like a dream. In a dream, you might experience all kinds of ecstasy, but no matter how much you pant and sweat, it’s just a dream. When we say, “It’s just a dream,” there’s sometimes a connotation that we despise it because it’s not real. But it doesn’t work like that either. If you become enamored with a dream elephant, then in the dream you go through the ecstasy of meeting the elephant, the sadness of missing the elephant, and eventually the agony of no longer having the elephant. That’s how karma works. This stanza is a big summary of Buddhism. Emotions are temporary, so action is like a dream, and therefore the aggregates—the result of emotions and action—are like a mirage. They are like a mirage; the closer you approach them, the more futile or essenceless they become. We try so hard to get close to the elephant, but even if there’s an engagement, the exchange of rings, a marriage ceremony, or whatever, the elephant remains a mirage. 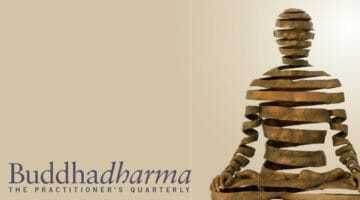 To emphasize this, the Buddha taught emptiness in the earlier turnings of the wheel of dharma. For example, in the Prajnaparamita Sutra, he said that form is emptiness, emptiness is form, and everything is like a mirage or a dream, and so forth. Then after that, in order to dispel the five kinds of obstacles or downfalls, the Buddha taught buddhanature in the third turning of the wheel of the dharma. There’s no reason to feel inferior; you have everything that that sublime being has. Now we come to the benefit of hearing about buddhanature. When we hear about buddhanature, we experience joy or enthusiasm toward the path because we know that enlightenment is possible. Even a dog, because it has buddhanature, is worthy of homage. No matter how many emotions you have erupting inside you, you’ll know that they are removable. That is wisdom. At the same time, you will know that all the qualities of the Buddha are within you—that is primordial wisdom. So now when you hear about, read about, or see amazing buddha qualities, you won’t treat them as separate from you, thinking, “Well that’s them, but I’m different.” You will not think things like that because you know that all the qualities of the Buddha, down to every single lock of hair, exist within you. There is nothing to be jealous of or to covet, because you have everything. And when you know that everybody has buddhanature, loving-kindness will grow. Can you see that emptiness alone doesn’t allow you to do these things? So what is the effect of knowing that you have these great qualities? If you have confidence, then negativity, literally “the unutterable negative actions,” cannot easily overcome you. You become a stranger to negativity, and strangers have some kind of dignity. When you’re a stranger, others don’t have access to you. They don’t come in and feel at home with you, because you’re courageous. The second effect of knowing that you have buddhanature is that you will not look down on those who are destitute, thinking that they are lower than you. You won’t have arrogance, nor will you feel inferior when you see a sublime being, someone who has attained a lot. There’s no reason to feel inferior; you have everything that that sublime being has. You have no more and no less than Shakyamuni Buddha or any of a thousand buddhas. 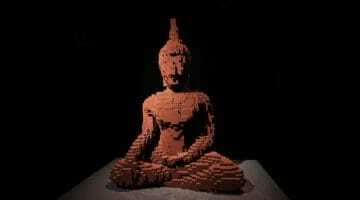 Basically, because of buddhanature, there’s no longer any inferiority or superiority complex. When negativities arise, you will know that they are not truly existent. When good things such as small signs of enlightened qualities arise, you will not get excited, because you know you already have them. Then there is loving-kindness. With all these, you will attain enlightenment swiftly. How Will You See the Guru?